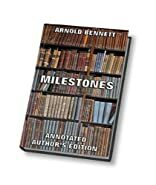 "Annotated Author's Edition" comprises the best fiction ever written in history, every single work annotated with biographical sketches, reviews and much more. This series offers a large range of out-of-print books and long-lost titles, as well as million sellers that form the essentials of literature. By buying a book from this series you can count on top quality. All books have been digitally revised and optimized for Kindle, including an interactive table-of-contents for easy browsing. We do not sell cheap scanned stuff, all our books must meet our own high standards of reading. If you like to find more books from this series, please use the Amazon search field within the Kindle store and type "Annotated Author's Edition". This will show you the whole range, which grows constantly and almost day-by-day. The book: A Play in three acts. he first milestone is passed in 1860, the second in 1885, the third in 1912. The first milestone might be named the launching of the first iron ship, the second the dawn of the age of steel, the third the passing of the individual manufacturer; but it is really in the women of the play that the passing of time and the changing of conditions is best shown. Each age has its radicals who become the conservatives of the next: and to each generation as it passes "the age is going to the dogs." and "women are not what they used to be." "It is a sprightly comedy of manners, full of sparkle and zest which makes far better reading than almost any play of recent years in a similar vein." 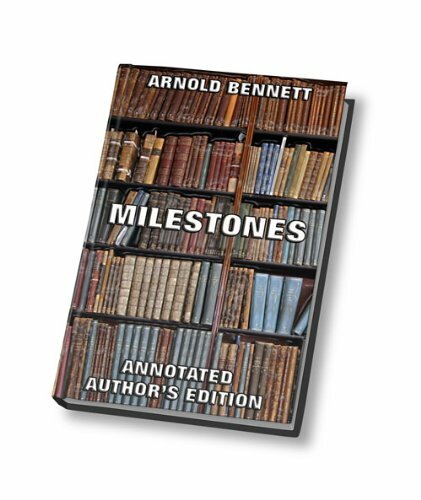 About Arnold Bennett (Author) : Arnold Bennett's ((1867-1931) most famous works are the Clayhanger trilogy and The Old Wives' Tale. These books draw on his experience of life in the Potteries, as did most of his best work. About Juergen Beck (Introduction) : Juergen Beck is a published editor. A published credit of Juergen Beck is Christmas In Legend And Story.